What Will The 2017 Solar Eclipse Mean For You? The world is abuzz with the news of the upcoming solar eclipse, especially here in Idaho! And with good reason, it’s been almost 40 years since there has been a full solar eclipse here in the United States; as that last time just skimmed several states this is a real event to witness! You see our technology is true solar thermal; that means it works great even on cloudy days! 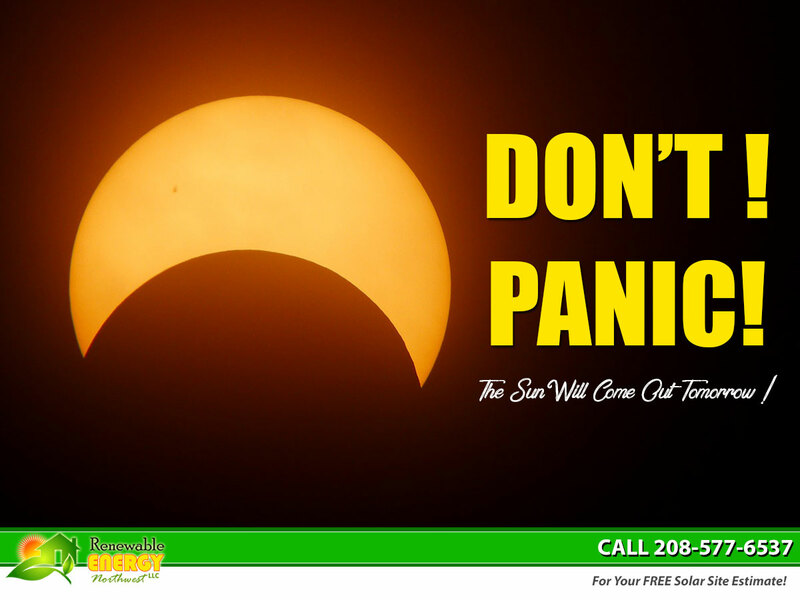 Thankfully our systems are also backed up by great water heaters as part of our whole home holistic approach to solar HVAC; even if the eclipse were to last for most of the day instead of just a few minutes our customers would still have plenty of hot water to serve their needs. Sun eating bears? Hungry dragons? Don’t panic! You can put those boogeymen of old to rest and cut your energy costs by as much as half with modern comforts like the very best services from us. Call 208-577-6537 today to get your free site estimate!